Are you needing to make more money, save time, and reduce stress in running your own business? Sylvia will begin speaking promptly at noon. 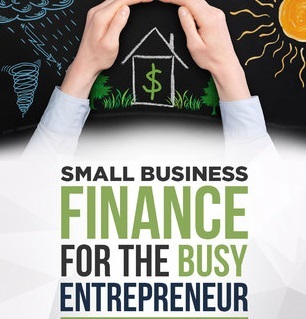 Sylvia Inks, best-selling author of Small Business Finance for the Busy Entrepreneur and Founder of SMI Financial Coaching, specializes in helping small business owners understand the key components that have the biggest impact to creating and maintaining a profitable business. If you are an entrepreneur, and you are not making the profits that you want and need in the business, don't fully understand the numbers in running your business, and are wishing you could get a better handle on the finances in order to spend more time with your family, you need to come hear Sylvia speak. You are not alone....and there is a solution. What many seasoned business owners wish they had known that would have saved them hours of learning the hard way. How to keep more money in your business...and stay in business! How to organize your small business finances and be better prepared for tax season.